Brighter Tomorrows is always seeking to connect with caring members of our community. Our volunteer needs change regularly. Interested in volunteering? 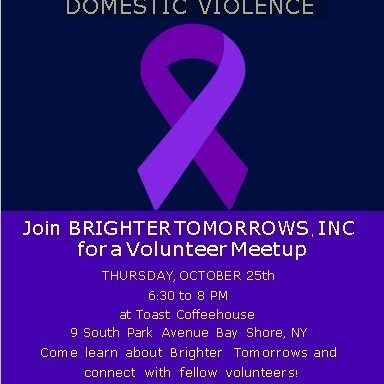 Join us for our Volunteer Meetup on Thursday, October 25th, 6:30-8pm, at Toast Coffeehouse in Bay Shore. To RSVP contact Dolores at 631-395-1800 x110.